The 5th interim report of the Mother and Baby Homes Commission reveals disturbing detail on the failure of institutions to provide dignified burials for hundreds of children who died in their care and raises more questions than it is able to answer. The Commission emphasises throughout the report that it believes there are many people with relevant information who have not come forward. This demonstrates how the lack of appropriate powers to compel evidence is hindering its ability to uncover the truth. ICCL reiterates our previous calls for increased investigatory powers for Commissions of Inquiry. We also reiterate our deep concern that all evidence submitted to this Committee will be sealed and therefore inaccessible to any further investigations. ICCL calls on the Minister for Justice to mandate individual criminal investigations and to ensure that where the law was broken or where human rights abuses have been committed, accountability is prioritised. It is deeply regrettable that because of the strict rules on the use of evidence gathered by the Commission, witnesses in such cases would need to be re-interviewed and are likely to be re-victimised as a result. We have previously described the burying of infants in unmarked graves as potentially constituting enforced disappearance. This is on ongoing human rights violation that the State must address this appropriately, including by ensuring proper investigations, the attribution of individual responsibility and remedies for families of victims. We reiterate our call for the state to ratify the UN Convention on Enforced Disappearances and comply with international human rights obligations in this area. The revelation by the Commission that it has only been able to establish the burial place of 64 of 900 children who died in the Sacret Heart Home at Bessborough raises huge questions. Either 836 bodies are missing or the records of deaths are wrong. The description by the Commission of the affidavit provided by the Sacred Heart Congregation as “speculative, inaccurate and misleading” suggests at best an unwillingness to cooperate, at worst that they have something to hide. The State is implicated in these practices. Health authorities paid for the upkeep of women and babies in these homes. Bills for burials were sent to the local health authority by Bessborough. Mothers and survivors are entitled to the truth about where their children are buried and about the circumstances of their deaths. But they are also entitled to know who was responsible for the decisions leading to these actions. The Commission’s revelations reveal the horrifying treatment of human remains at Tuam, contrary to the right to dignity and contrary to the law at the time. The extensive research into the structures at Tuam including of historical material relating to sewage disposal units, soil analysis and osteoarchaelogy led the Commission to state that “the scientific evidence suggests that at least some of the chambers in which human remains were found were at some stage used to receive sewage.” The Commission concludes “this was not a recognised burial ground or purpose built burial chamber. It did not provide for the dignified interment of human remains.” These ‘human remains’ were of children aged up to six years old. It is not sufficient to say that this is shocking. The Galway and Mayo County Councils were responsible for the residents of the Tuam Home and thus responsibility for appropriate burial rested with local authorities. The Commission notes that, in particular, Galway County Council had a legal responsibility to keep a record of burials. The failure to do so is evidence of illegality. The failure to provide information to the Commission can be considered an obstruction of the right to truth. The Irish Council for Civil Liberties (ICCL) today welcomes the Garda Commissioner’s plans to announce alterations to the garda uniform code to include headscarves and Sikh turbans. This is an overdue recognition of the increasingly diverse nature of Irish society. It is important that we all, regardless of our ethnic, cultural, or religious identities, see ourselves represented in our police force. Only then can it truly act with legitimacy. ICCL believes that more must be done to ensure minority groups in Ireland are treated appropriately by An Garda Síochána , whether they are gardaí themselves, victims of hate crime, or witnesses or perpetrators of other crimes. In particular, we call for hate crime legislation to be introduced as well as proper and public policies on data gathering, recording, investigation and reporting of hate crime. Building trust between An Garda Síochána and minority groups in Ireland, including members of the Traveller and Roma communities must be a priority. We reiterate our previous calls for root and branch reform of An Garda Síochána with human rights at its core. We continue to call for the timely and thorough implementation of recommendations by the Commission on the Future of Policing. These recommendations were committed to by Government, and include an effective complaints system and a robust inspection regime. We call on the Government to retain its focus on reform and to this end provide proper resourcing and appropriate legislation. Other priorities for reform must be the creation of an inspection mechanism for places of garda detention and the ratification of the Optional Protocol to the UN Convention Against Torture (OPCAT), the establishment of a Victims’ Ombudsman, and proper oversight of intelligence and surveillance, in line with human rights norms. The ICCL published a report in September 2018 setting out how human rights-based policing can be implemented in practice, authored by Alyson Kilpatrick BL who acted as Independent Human Rights Advisor to the Northern Ireland Policing Board for over seven years. The ICCL made recommendations in 2017 with Digital Rights Ireland on rights compliant data retention practices: https://www.iccl.ie/wp-content/uploads/2018/12/V3-Updated-DRI-ICCL-DR-submission-13.11.17_Website_EF-edit_EF_EF-5.pdf. While these recommendations were largely accepted by the oireachtas committee in 2018, new legislation is not yet in place and the Gardaí continue to make substantive data retention, continuing a system of mass surveillance in Ireland. ICCL has made a submission to the Department of Housing and Local Government’s public consultation on the establishment of an Electoral Commission. ICCL supports the establishment of an Electoral Commission because we believe it can strengthen the cohesiveness and transparency of electoral regulation. We call for this body to be entirely independent of government, and that this should be guaranteed through primary legislation and direct funding from the exchequer. We also believe the establishment of an Electoral Commission would present an important opportunity to amend problematic legislation on international funding for civil society. The Irish Council for Civil Liberties (ICCL) has welcomed this morning’s UK Supreme Court decision, which found that there has been no effective investigation into the murder of Pat Finucane. We join the Finucane family in calling for a full and public inquiry, in order to vindicate their rights to truth and justice. “The collusion of state actors in the assassination of a lawyer is a serious threat to justice and the entire democratic system and remains so as long as a proper investigation remains pending. 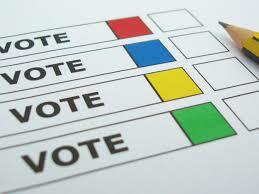 An effective investigation is required by Article 2 of the European Convention on Human Rights. The Supreme Court today said that, thus far, this requirement had not been met and that it would be up to the British government to decide “what form of investigation” is required into the assassination of Mr. Finucane. A previous inquiry found that “agents of the state were involved in carrying out serious violation of human rights up to and including murder”. The Supreme Court said today that, because no individual suspects have been identified or held accountable, Article 2 requirements have not been met. The Court’s Declaration underlines the need for a more comprehensive approach to transitional justice issues in Northern Ireland. There are a number of other cases in which the rights of victims and their families to truth, justice, reparations and guarantees of non-recurrence have not been met. A rights-compliant approach to transitional justice in Northern Ireland is long overdue and necessary. Throughout the peace process ICCL and our colleagues in Northern Ireland have consistently argued that the vindication of human rights is an essential foundation for peace on this island. We continue to call for the full and equal respect of all rights for everyone on the island of Ireland, particularly in the context of the potential impact of Brexit. The Irish Council for Civil Liberties (ICCL) has welcomed the publication of the Clann Project Report by Adoption Rights Alliance, Justice for Magdalenes Research and global law firm Hogan Lovells, and has called on the State to provide all those separated from their relatives during the 20th century with information about who they are. ICCL reiterates its previous callfor the Government to provide adopted people with the statutory right to their birth certificate and their early life / adoption file, and to provide statutory rights to information for all others affected by the system of institutional abuses in Ireland. ICCL has previously said that there is evidence of enforced disappearances having occurred within the system of adoption and Mother and Baby Homes and similar institutions. Enforced disappearance occurs when a person is abducted or detained with the involvement of the State, following which the State refuses to provide information about the person’s fate or whereabouts. The Clann Project Report is the culmination of a three-year evidence-gathering effort, during which Hogan Lovells lawyers spoke to 164 people separated from their family members through Ireland’s system of institutionalisation and adoption, and sent 77 witness statements to the Commission of Investigation into Mother and Baby Homes. Dr Maeve O’Rourke, Senior Research and Policy Officer with ICCL, is one of the voluntary co-directors of the Clann Project. She will be presenting today on behalf of ICCL to the Collaborative Forum established by Minister Katherine Zappone, and she will focus on the State’s current human rights obligations in relation to the treatment of unmarried mothers and their children during the 20thcentury. The Irish Council for Civil Liberties (ICCL) is seriously concerned by the Minister for Justice’s suggestion on the radio this morning that he supports legislation to outlaw the photographing of Gardai acting in the course of their duties. 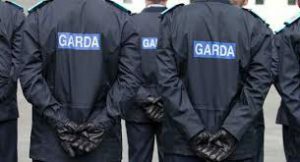 While the criminal harassment or intimidation of Gardai is unacceptable, the general outlawing of photographing Gardai while on duty would be a grossly disproportionate response to the incidents that arise where technology is misused. A blanket restriction on freedom of expression, which would criminalise ordinary members of the public for sharing information about public events, is not the answer to the challenges that Gardai are called to deal with on a daily basis. Only a week ago, we witnessed the importance of public access to images of Gardai on duty. 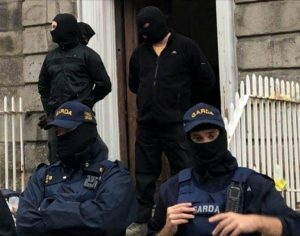 The circulation of photographs of masked Gardai at the scene of a housing rights protest prompted widespread public debate about how An Garda Siochana goes about the policing of protest. The photographs led to a statement by the new Garda Commissioner that the Gardai had not acted in accordance with their own policies, and to the Garda Commissioner requesting a report on the incident. The events of last week demonstrate exactly why the Minister is wrong to suggest that this crucial mechanism of transparency should be outlawed. As the ICCL has stated before, the rights to peaceful protest are fundamental to our democracy. These are the rights to freedom of belief, expression, association and assembly, and they are protected not only by the Irish Constitution but also by European and international human rights instruments to which Ireland is party. An Garda Siochana is obliged to protect and facilitate individuals’ use of their rights to peacefully protest. Gardai are also obliged to police protest in a manner that only uses force to the degree that is absolutely necessary and proportionate. The ability to record police operations during public protest is an essential safeguard to ensure that the Gardai comply with their human rights obligations. Transparency also protects police, in that it provides them with an avenue to demonstrate how they acted to uphold the law in difficult situations. Time and time again, both in Ireland and abroad, we have witnessed how recordings of police behaviour during protests has helped to shine a light on violations of human rights obligations by police actors, and indeed violations of the law by private individuals where they occur. In many countries, police representatives are now required to wear body cameras themselves in order to ensure that they are accountable, and indeed protected, in their actions. The Organization for Security and Cooperation in Europe (OSCE) has published Guidelines on Freedom of Peaceful Assembly which explain States’ obligations under the European Convention on Human Rights as established in ECHR case law. The photographing or video recording of the policing operation by participants and other third parties should not be prevented, and any requirement to surrender film or digitally recorded images or footage to the law-enforcement agencies should be subject to prior judicial scrutiny. During public assemblies the photographing or video recording of participants by law-enforcement personnel is permissible. However, while monitoring individuals in a public place for identification purposes does not necessarily give rise to interference with their right to private life, the recording of such data and the systematic processing or permanent nature of the record created and retained might give rise to violations of privacy. Moreover, photographing or making video recordings of assemblies for the purpose of gathering intelligence can discourage individuals from enjoying the freedom to assemble and should, therefore, not be done routinely. Law-enforcement agencies should develop and publish a policy related to their use of overt filming/photography at public assemblies. Imprisoning individuals for seeking, receiving and imparting information and ideas can rarely be justified as a proportionate measure to achieve one of the legitimate aims under article 19, paragraph 3, of the International Covenant on Civil and Political Rights. … protection of national security or countering terrorism cannot be used to justify restricting the right to expression unless the Government can demonstrate that: (a) the expression is intended to incite imminent violence; (b) it is likely to incite such violence; and (c) there is a direct and immediate connection between the expression and the likelihood or occurrence of such violence. Additionally, the Special Rapporteur reiterates that the right to freedom of expression includes expression of views and opinions that offend, shock or disturb. Moreover, as the Human Rights Council has also stated in its resolution 12/16, restrictions should never be applied, inter alia, to discussion of Government policies and political debate; reporting on human rights, Government activities and corruption in Government; engaging in election campaigns, peaceful demonstrations or political activities, including for peace or democracy; and expression of opinion and dissent, religion or belief, including by persons belonging to minorities or vulnerable groups. The importance of this new form of journalism cannot be underestimated… citizen journalists contribute to the creation of a richer diversity of views and opinions, including information about their communities and groups in need of particular attention. The Irish Council for Civil Liberties (ICCL) today launched a report by the former human rights advisor to the Policing Board of Northern Ireland, Alyson Kilpatrick, on how and why a human rights based approach to Garda reform should be implemented. This is a pivotal moment for policing in Ireland. We commissioned Alyson to write this report because it is clear that, up to this point, An Garda Síochána (AGS) has never fully embraced human rights standards and values. This was evidenced, yet again, by serious concerns arising from the Garda operation on Tuesday night at an eviction on Frederick St. This report makes the compelling argument that taking human rights seriously at all levels of Irish policing will have profound benefits for Gardaí and for the communities they serve. There will be a comprehensive Garda reform process arising from the Commission on the Future of Policing. This ICCL report provides a blueprint for how to deliver radical overhaul of Irish policing around human rights principles, drawing on the experience of the transformation of policing culture and practice in Northern Ireland. While of course the Gardaí do not have all of the problems that have historically beset policing in Northern Ireland, there are many practical lessons we can learn from the experience there. In her analysis of current Garda policy and practice, Kilpatrick finds that there is a serious gap in human rights compliance in a number of areas including the policing of protest, investigation of hate crime, stop-and-search practices, State security, and the treatment of people in Garda detention. She signals particular problems with the oversight and accountability mechanisms of State security, recommending that AGS should develop, and publish, written policy on all covert activity. Where they cannot be published for security reasons, Kilpatrick recommends that these policies be made accessible to a human rights legal expert in the Policing Authority. Kilpatrick also highlights problems with Garda use of force. Her report notes that the Gardaí likely use pepper spray at a higher rate than the Metropolitan Police or the PSNI, but she states that it is difficult to tell given the lack of statistics available. Kilpatrick recommends recording all circumstances of deployments of weapons or use of force, together with an explanation of the circumstances, location of use, outcome and the identity of the garda(í) involved. She further recommends sharing this information with the Policing Authority and publishing all related statistics. If implemented correctly, a rights-based approach will not only protect the people that the gardaí come into contact with, but it will protect Gardaí themselves by positively transforming policy, practice and philosophy. It also provides a roadmap for An Garda Síochána to fulfill their legal obligations, and their own mission statement, and become a rights-compliant police force which keeps the best interests of all the people it comes into contact with, including Gardaí themselves, at heart. The guide makes recommendations in a number of areas, including a complete overhaul of training; an emphasis on making the force more diverse and representative of the Irish population; inspections of all places of detention; publication of policies and statistics where possible; and management restructuring. First and foremost, however, Kilpatrick says the will for reform must be present across all levels of An Garda Síochána. The PSNI is now regarded as a worldwide leading example of how transformative a rights-based approach is. Human-rights based reform is not easy, but it is worth it. An Garda Síochána must commit itself entirely to this worthwhile process for the sake of the people of Ireland. Here is the full text of Alyson Kilpatrick’s ground-breaking report: A Human Rights Based Approach to Policing in Ireland. Briefing for press and policy makers. 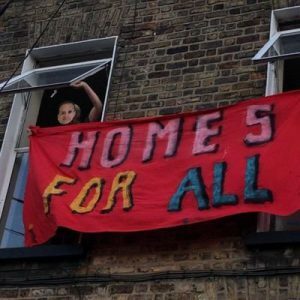 The Irish Council for Civil Liberties (ICCL) is today demanding answers from An Garda Síochána over the tactics used during an eviction of housing rights activists from a building at North Frederick Street in Dublin’s North Inner City last night. ICCL is calling for a swift public report from the Garda Commissioner regarding the Gardaí’s decision-making in advance of last night’s operation, and the reasons for and circumstances of the arrests and alleged injuries sustained by protesters. ICCL has been highlighting the lack of transparency regarding the Gardaí’s policies and tactics in the areas of protest policing and use of force. We are calling on the Garda Commissioner to provide answers about what decisions were taken in advance of, and during, last night’s operation. We want to know: what was the legal basis for the Garda operation? Was it on request of the owner? What are the protocols for such requests? Was there engagement with the occupiers in advance of the Garda operation? What consideration was there of the need to use minimal force? What was the basis for the arrests? ICCL recently published a joint report with the International Network of Civil Liberties Organisations on international best practice in the policing of protest. In order to uphold the democratic right to protest, police services must have procedures that force them to pause and evaluate the consequences for rights protection at each step of planning and executing protest engagement. Police officers must be trained, not just at the beginning of their careers but on an ongoing basis, on communication, dialogue, and de-escalation strategies. Transparency is essential. After every protest the public must receive full information about the strategies used and their impact on individuals. ICCL is calling for An Garda Síochána to immediately commit to human rights-based reform of policing in Ireland. This approach has been used successfully by the PSNI to transform the policing of protest in Northern Ireland and ensure greater respect for the rights to protest in a democratic society.